I just returned from two weeks on the road with the Boston-based new music group Callithumpian Consort, directed by Stephen Drury. Great fun and a busy time performing concerts and giving presentations. 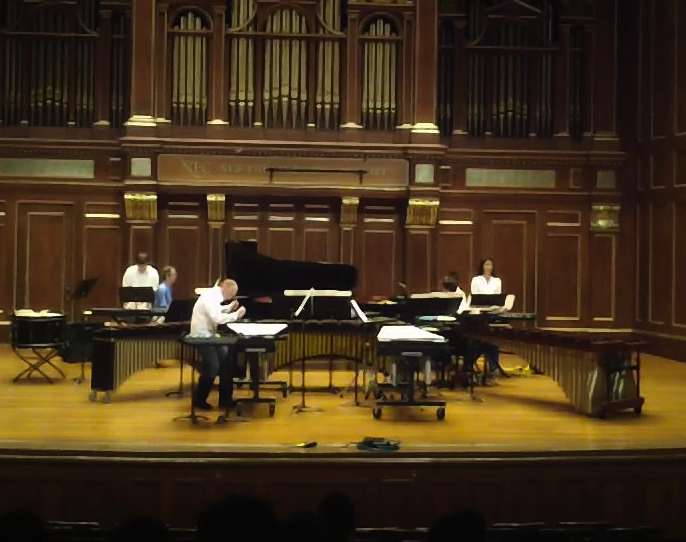 The group performed Steve Reich’s Sextet, Tristan Murail’s Le Lac, Sonata for Two Pianos and Percussion by Bela Bartok, and The Credo in Us by John Cage. Audiences were great, the group rocked, and as usual, there was never a dull moment with Drury and Company. Click here to visit the website for the Idaho concert. You are currently viewing the archives for September, 2011 at Scott Deal.